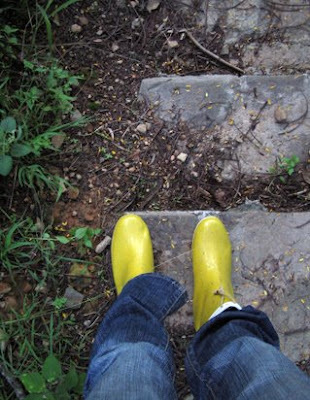 Yellow gumboots. The sound the percolator makes on the stove when the coffee begins to bubble. Leather-soled flats. Visiting the State Library. Sunday afternoon (but not Sunday night). A pile of new books to read after a visit to the Lifeline Book Fair. My Vogue Living arriving in the post. The dog first thing in the morning when he’s still sleepy enough to be cuddled. Holding hands on the couch.